Crystal Lume Medical Spa is proud to offer Dima Slimming: an effective and non-surgical solution for cellulite, fat reduction and body contouring. Dima Slimming machine uses the 40kHz~1MHz ultrasound to make intense vibration, which causes an inner explosion in the fat tissues which metabolizes the lipocytes. It can effectively break down stubborn fat and decrease quantity and size of lipocytes. The vacuum suction can promote lipocyte and tissues liquid flow which helps drainage of fatty acid, waste and toxins throughout the lymph system. The vacuum function will promote liquid flow of lipocytes and fat tissue, then speed up excretion of toxins and waste, achieving fat elimination, slimming skin tightening and enhancing muscle flexibility. People Like You! Anyone who has stubborn exercise resistant fat, cellulite, love handles, double chin, thick waist, thighs that jiggle..anyone who can pinch an inch. What Kind of Results Will I Experience? 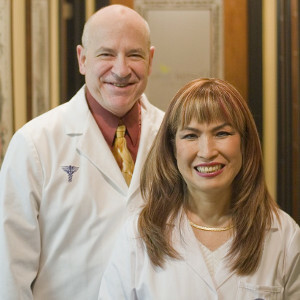 You will begin to see results soon after your treatment, and the most remarkable results in the first two months. As your body continues to excrete fat you will see more and more positive results. With Dima Slimming technology, your treated fat cells will be excreted. Anyone treated should maintain a healthy lifestyle to maintain their results. Not only will you experience a reduction in cellulite, but a noticeable reduction in circumference in the treated areas, and the skin is smoother, tighter and more toned. The Dima Slimming treatment is safe and effective for all skin types and colors. Most patients see results after the first treatment. No downtime, you can return to normal activities immediately after your treatment. The treatment is comfortable with no side effects.